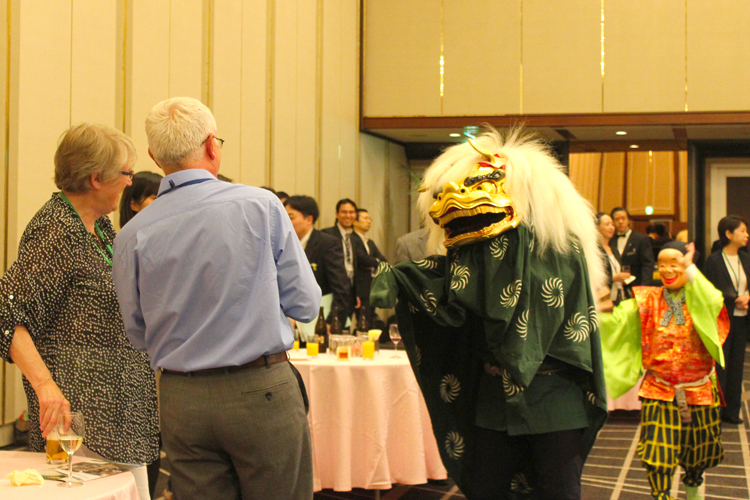 At the Chiba Convention Bureau and International Center, we provide a large number of plans involving attractions you can enjoy in a variety of settings – Japanese culture and arts representative of Chiba, classical music, performances with Japanese instruments, and even the field of creative music. 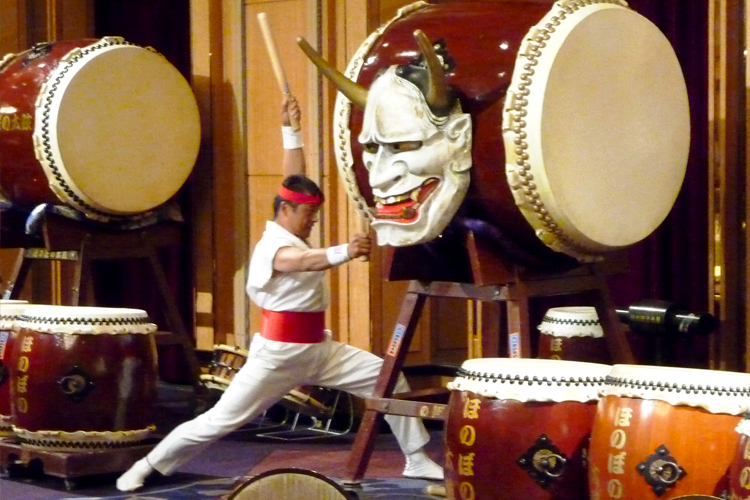 Fascinating performers active on a number of fronts in Japan and abroad, including excellent groups within the prefecture working to uphold the inheritance of traditional arts, produce refined and peaceful moments. Established as a foundation in 1985, it is the only professional orchestra in Chiba prefecture. It performs concerts around 20 times a year, including performances of the Ninth Symphony in places about the region, as well as opera and ballet performances, in addition to regular concerts. A wide range of formations are possible in response to requests. Chiba Lotte Marines Cheerleaders M☆Splash!! The Chiba Lotte Marines mascot characters, Mar-kun, Rine-chan, Zoo-chan and COOL, and the members of the baseball team official cheerleaders, M☆Splash! !, rush into the venue and create excitement with an energetic performance. Based in the land of Awa in the Sengoku period, a story overflowing with romance by Boso Satomi is here performed as a puppet show. You can savor a powerful world in which spectacular puppets are used. Situated in the town of Chikura, Minami Boso City, Takabe shrine is the only shrine in Japan where food deities are worshipped. 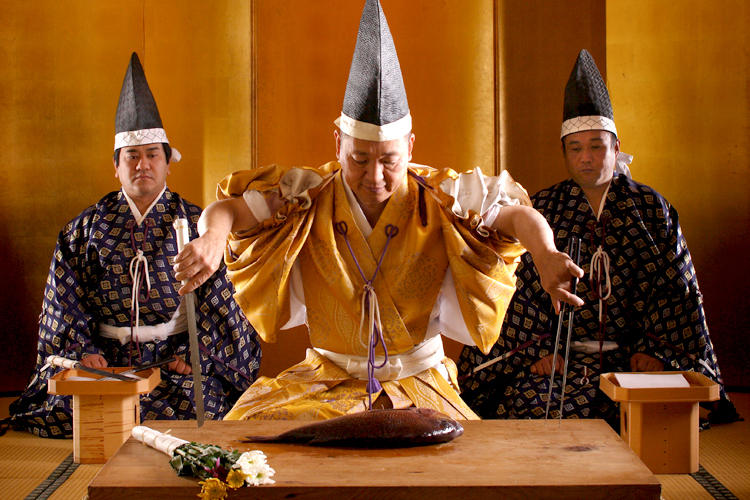 The knife ceremony is a solemn ceremony passing on a tradition of Japanese cuisine to the present day In the ceremony, eboshi formal headwear and a flowing hitatare robe are worn, and carp, red snapper and butterfish are prepared without touching the fish at all with the hand. You can observe skilled knife handling and movements based on ancient rites. 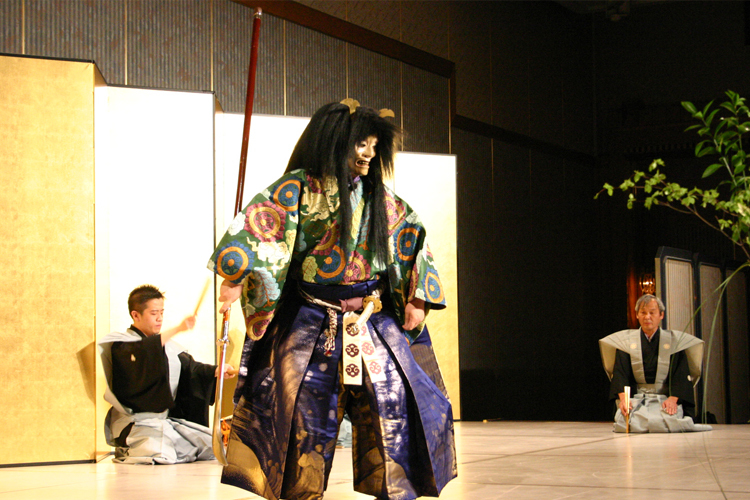 Emotions are expressed in comical gestures in this local performing art representative of Funabashi City. Performers put on angry masks, laughing masks, clownish masks and a woman’s mask and dance to a clownish musical accompaniment. 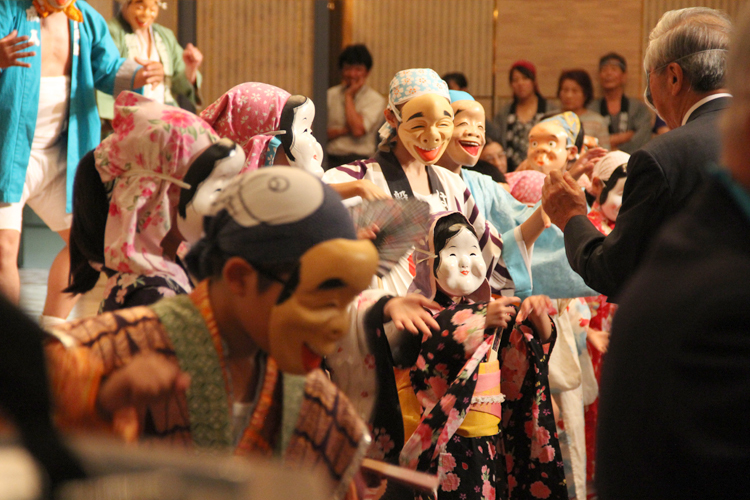 The performers wearing the masks move around dancing, building excitement in the venue. 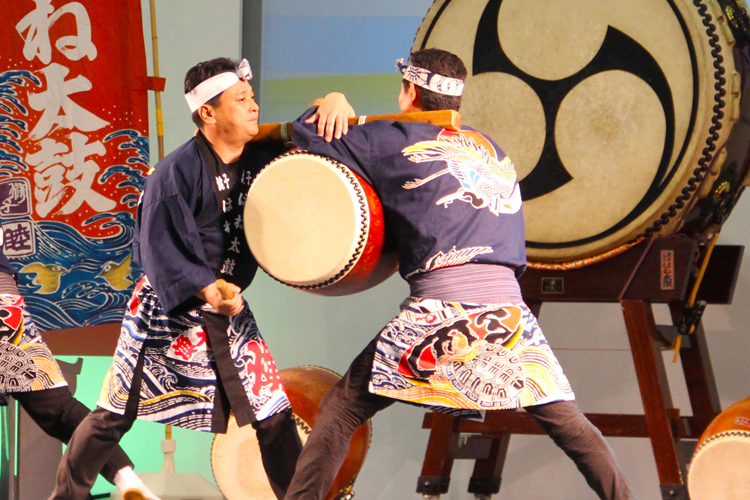 Founded in 1986, honobono drumming is a form of Japanese drumming handed down from ancient Japan, incorporating a dynamic rhythm with popular music to unfold a creative style of drumming combining images of the open sea with the local area surrounding Boso Peninsula. You can feel the beat resounding in the venue and the solemnity flowing out. 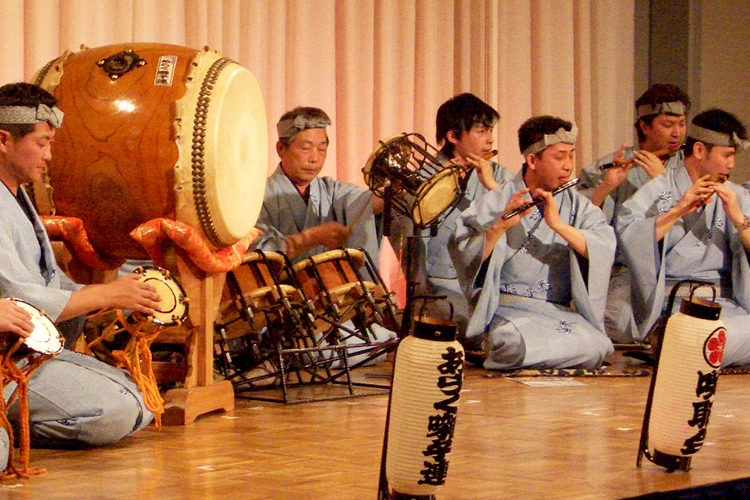 As one of Japan’s three major musical accompaniment styles, in contrast to the festival musical accompaniments of other regions centered on rhythm, this is a unique festival musical accompaniment composed mainly of emotional melodies. The musicians are called “geza”, as is the case in Kabuki theatre, and you can watch an orchestra of Japanese instruments composed of 5-6 flautists, 1 drummer, 4-5 shoulder drum players, 1 large drum player, 1 small drum player and 1 Japanese cymbal player, totaling around 15 musicians. 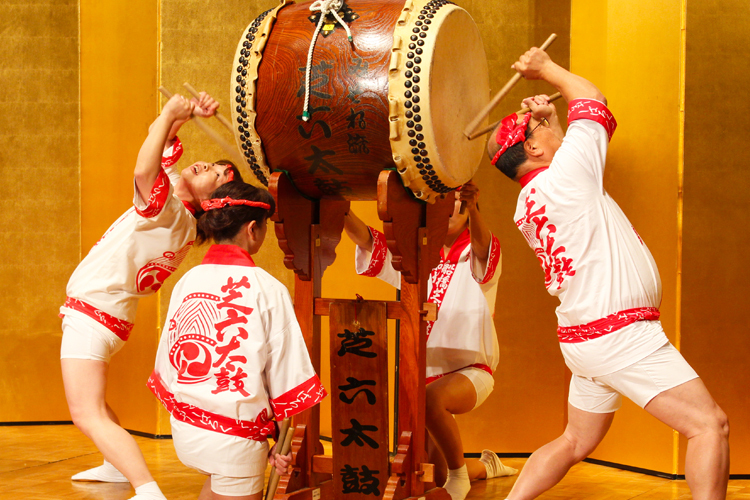 Bouncing drumming is a form of festival drumming passed on from old times only in Choshi City. Two drummers lift up the drum, and while supporting the drum with the neck and rib cage, they beat and bounce, bounce and turn, dancing in the air with the drum. In genuine drumming while lying down, the drummer holds on to the drum bearer, crawls on the ground and beats away on the drum. You can sense a spirited and powerful dance performance. This powerful drumming with a dynamic reverberation and spectacular combinations will overwhelm the whole venue. 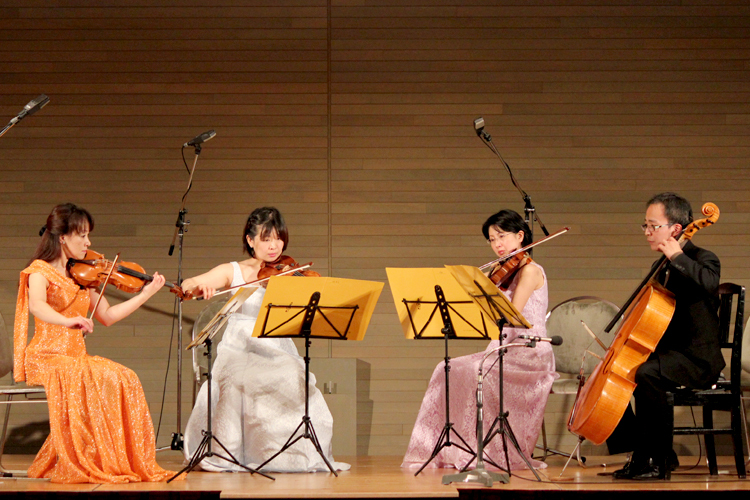 You can enjoy a performance pursuing not only the sound but also the beauty of the “form”. 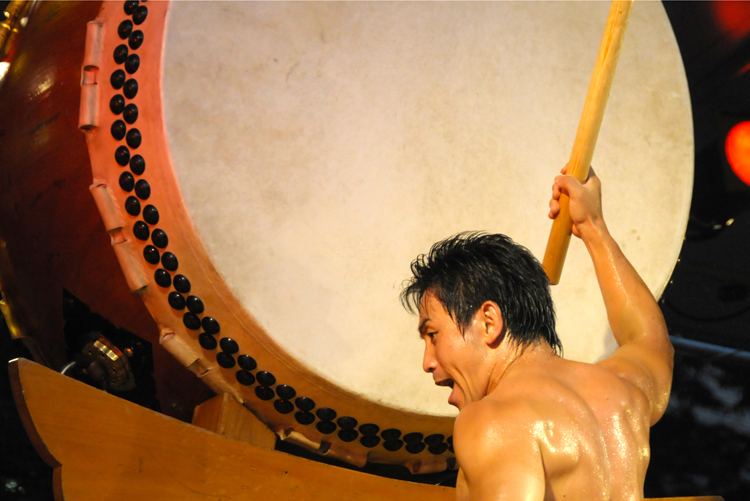 Using mainly the Nagado drum, in this creative drumming expressed with the whole body, drumming feats such as folk songs and popular songs, and ensemble drumming consisting of drums alone are performed. Each song takes 4-5 minutes, and the drummers are known for playing at a tempo that does not bore the audience. This group performs with 1 flautist, 2 shime-daiko drummers, 1 large drum drummer, and 1 gong player - a total of 5 musicians. Performers of satokagura theatrical dance and the lion dance move around the venue in time to the music, exciting the participants. 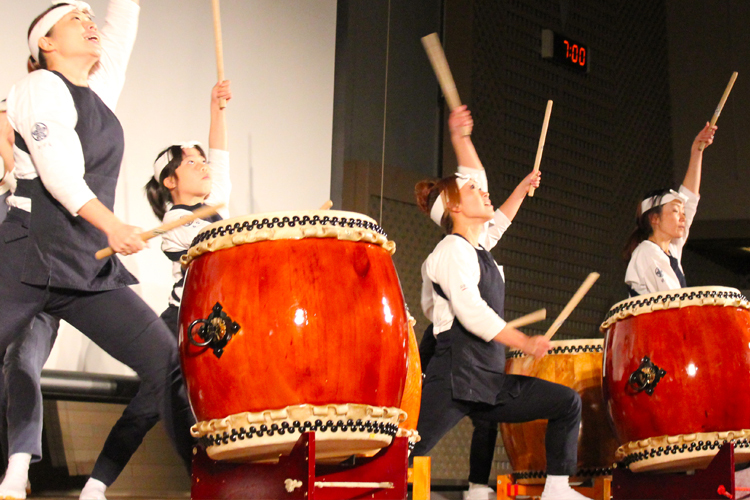 This creative drumming is based on the principles of “courtesy, skill, love and devotion (*)”, with the themes of history, culture and traditional performing arts from around Japan. The drummers produce a unique world fascinating to listen to. * “Courtesy” emphasizes the importance of courtesy, “skill” represents honed skills, “love” is being loved by people, and “devotion” represents contribution to society. 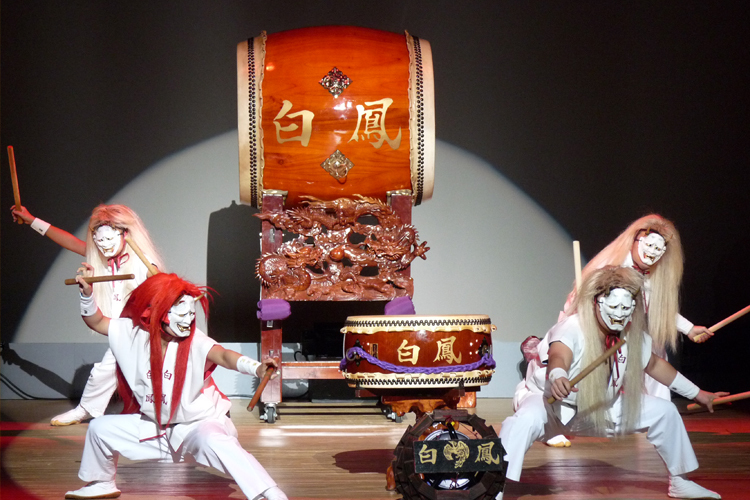 With a performance style making full use of a wide variety of drums played by a small number of elite drummers, the production is characterized by a wholly creative repertoire, rather than traditional Japanese drumming. These drummers create a performance filled with originality through collaborations with other instruments. 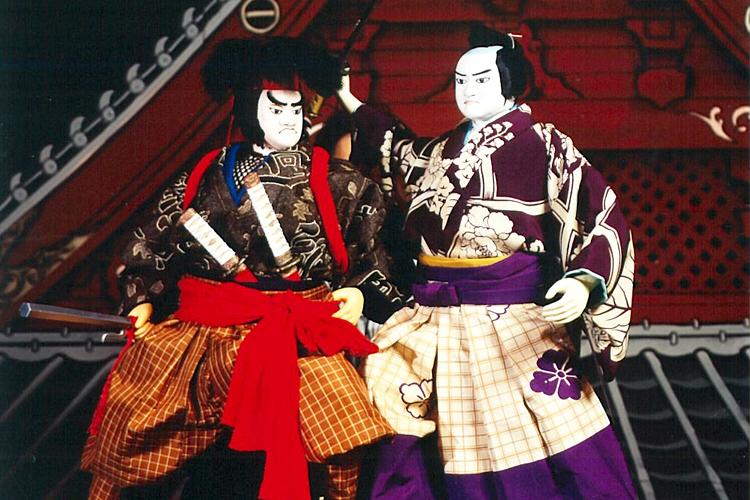 The classical theater of Noh originated around 700 years ago. A dignified space and stage surrounded by nature, and the tone of the dazzling dance create a subtle and profound world for you to savor. 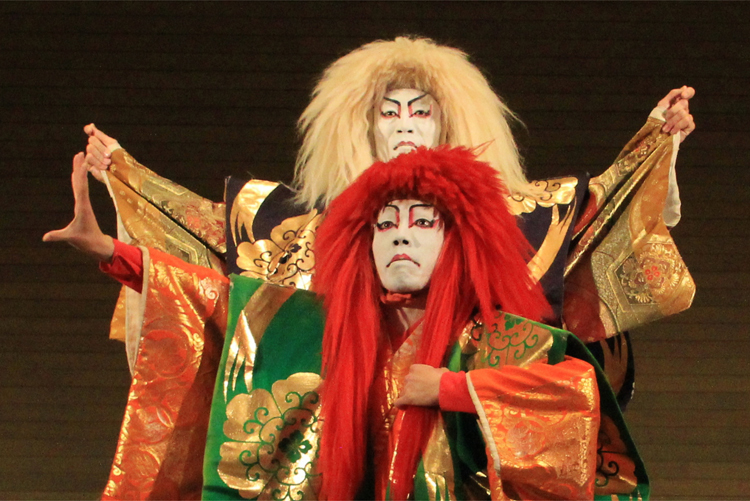 Noh can also be performed outdoors, lit by bonfires. In addition to Kabuki, there are sword fights in which armored samurai appear, captivating courtesans and geisha entertainment. Also, myriad variations including Kagura Serpent, Face-Changing, Kabuki illusion magic and ninja attractions, make for a special convention reception. 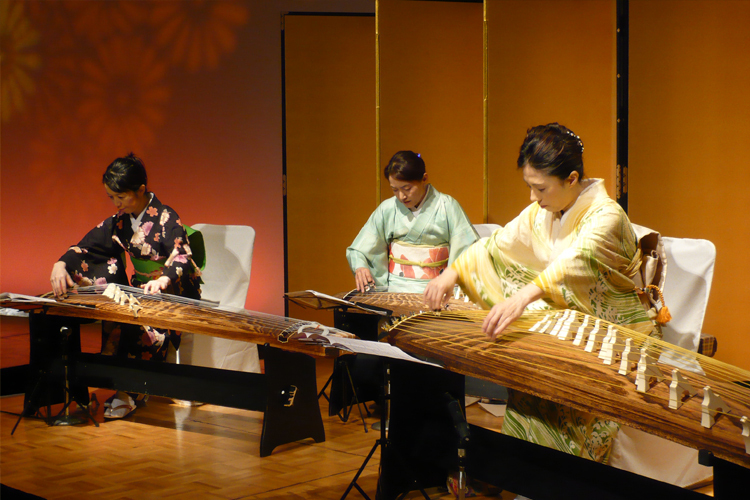 An ornate, elegant performance is provided with koto, shamisen and shakuhachi, the most representative of traditional Japanese musical instruments. You can enjoy a wide variety of performances from classical to pop music and folk songs. Fair stalls are an essential part of a summer festival. Yo-yo scooping pools and shooting galleries create a festive ambience in the square. Performances of traditional Japanese craftsmanship such as candy making and portrait painting are also available.